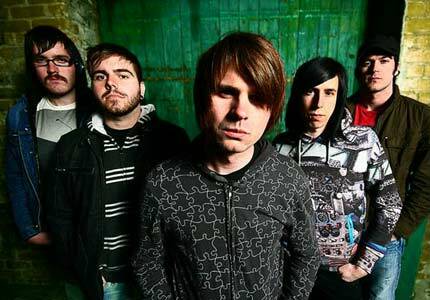 Silverstein Biography, Discography, Music News on 100 XR - The Net's #1 Rock Station!!! It's been a long, but thrilling trip for this Emo Alternative-Rock quintet, who came together in the Toronto suburb of Burlington, Ontario CANADA, at the turn of the millennium. Originally comprised of vocalist Shane Told, guitarists Josh Bradford and Richard McWalter, bassist Bill Hamilton and drummer Paul Koehler the group recorded at Parkhill Studios their first independent EP. The 6-track disc was released in August of 2000 and was followed by another indie EP, "When The Shadows Beam", in April 2002. 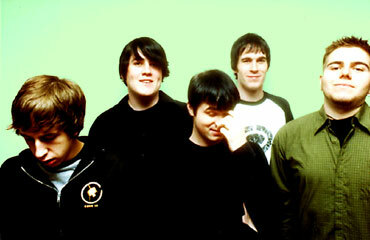 Before the band went on to sign a deal with Victory Records, McWalter was replaced by guitarist Neil Boshart and in May 2003 the Chicago-based label issued Silverstein's debut full-length album, "When Broken Is Easily Fixed", which raised eyebrows throughout North America as sales climbed well past 200,000. 2005's "Discovering The Waterfront", their sophomore album, did considerably better; it peaked at #34 on The Billboard Top 200 chart selling over 300,000 copies on the strength of word-of-mouth and a non-stop touring schedule that saw them crisscrossing the globe. The band fueled that momentum by performing on a slew of major tours, from A Taste of Chaos and Warped in the States to the Give It A Name and Download festivals in England. Silverstein put out its third LP, "Arrivals & Departures", in July 2007. It includes the single "If You Could See Into My Soul".